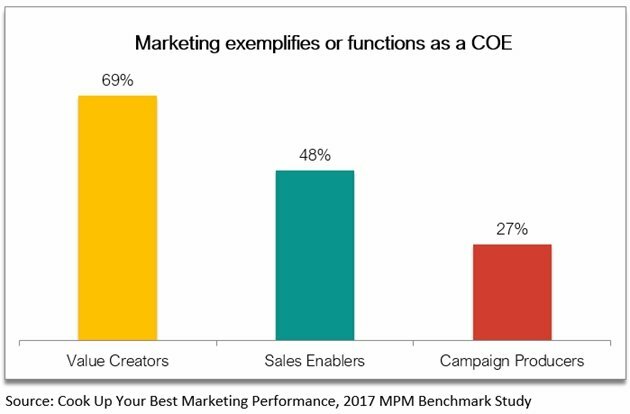 Marketing accountability—the ability to measure the marketing organization's contribution to enterprise value—remains a critical issue. A recent study by Forbes CMO and Neustar, "Accelerating Growth Through Marketing Performance Management" (MPM), found that the senior leadership within Global 5000 organizations recognizes that Marketing accountability is essential to creating shareholder value and organic growth. It echoes our own MPM research, which finds that most chief marketing officers struggle to communicate the value of Marketing to their leadership. Marketing accountability requires superior alignment with the business, the right data and analytics, and process and measurement skills. Yet our research and the Forbes study found that data, modeling, dashboards, and measurement are the top skills gaps among Marketing organizations with regard to MPM. So, it is no surprise that 75% of the Global 5000 CMOs surveyed by Forbes indicated that their inability to communicate, quantify, and optimize the value of Marketing hurts them both professionally and personally. 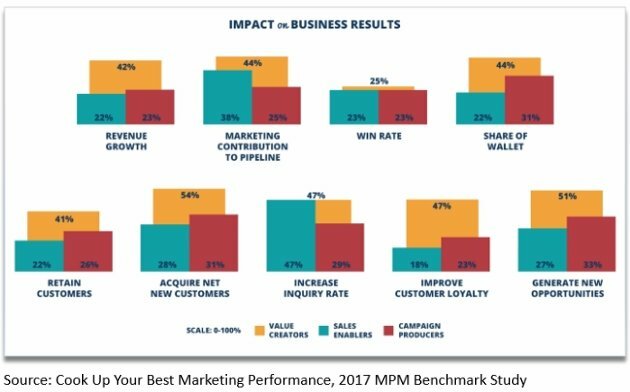 Some marketing organizations are excelling at MPM and, as a result, achieving better growth outcomes for their companies. Compared with "Campaign Producers" and "Laggards," these high-performing organizations excel at achieving business outcomes and exceeding the organization's growth plans, by as much as 20%, and even more for some business results. We refer to this elite group of marketing organizations as "Value Creators." Value Creators aggressively improve their MPM efforts. How? They operate Marketing as a center of excellence (CoE). In fact, Value Creators are almost three times more likely to exemplify or function as a CoE.